and yes, this demo was decent for me. I hadn't laughed at something quite as much as this in a good while. I hope that was the intention. It's funny demo, like a reminiscence of the demos from the 90s. 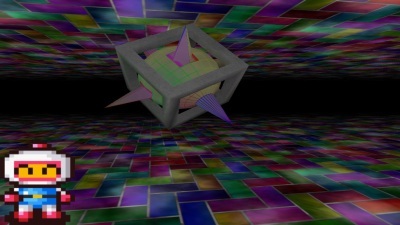 i'm feeling very nostalgic - not just because of the content, but because D4Z were among my very first demoscene contacts back in 1997, and i never have thought they would come back. the demo was quite charming and had some genuinely funny moments. WTF?! These are the worst graphics ever! Eine interessante Idee die in jeglicher Hinsicht sehr sehr schlecht umgesetzt wurde! page created in 0.029053 seconds with 15 queries.